This Chinese New Year, be one of the first to witness an underwater lion dance performance in Malaysia. 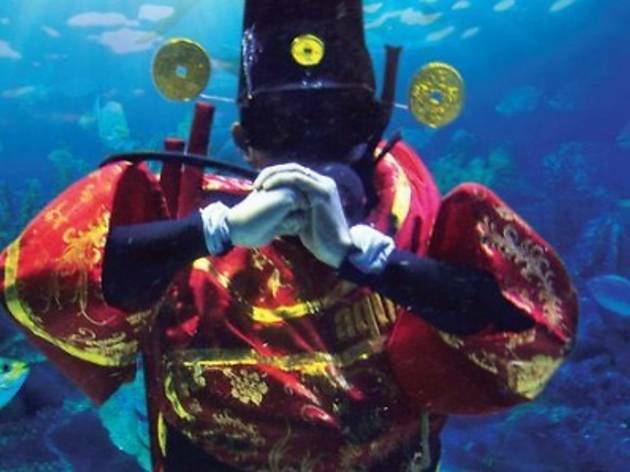 There will also be a scuba Tsai-Shen (Feb 10-24, 12noon & 3pm) appearance during the daily feeding show at the Aquatheatre along with the opportunity to meet the God of Prosperity and Rocky the shark (Feb 10-24, 11am & 4pm). 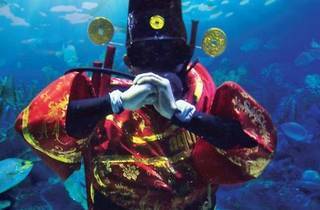 The Underwater lion dance performance happens Feb 10, 11, 13, 14, 16, 17, 18, 23, 24 at 1pm.